Colored diamonds are more “in” than they ever have been. At least, if the outcomes of auctions are anything to go by. Recently, diamonds in surprising and bold colors have been selling for prices that shatter both records and expectations. Of course, logically, it does hold up; the entire diamond market (and indeed, the entire gem market) hinge on the economic principle of scarcity: if it’s hard to get, people need to have it. The complex chemical make-up of colored diamonds definitely ensure that they are rare. Normally, color is the opposite of what customers want in a diamond. Traditional white diamonds are intended to be just that: perfectly clear and free of any hue. However, beyond the lettered scale of color for white diamonds, there is an entirely different spectrum dedicated to what are often called “fancy” colors of diamond. Let’s explore the world of colored diamonds and find out something about them. Most people want to know how they occur and how they’re graded. Additionally and perhaps most importantly of all - people want to know what the popularity of colored diamonds means for collectors. HOW DO COLORED DIAMONDS OCCUR NATURALLY? If the diamond market can be explained by economics, the creation of the diamonds themselves can be explained by science. Diamonds are carbon, no less than charcoal briquettes are carbon. However, diamonds have immense amounts of pressure applied to them that make them clear, hard, and brilliant when cut. Transparent diamonds – or, also, white diamonds – are made of pure carbon. However, when elements other than carbon sneak into the atomic make-up of the minerals, new colors can occur. 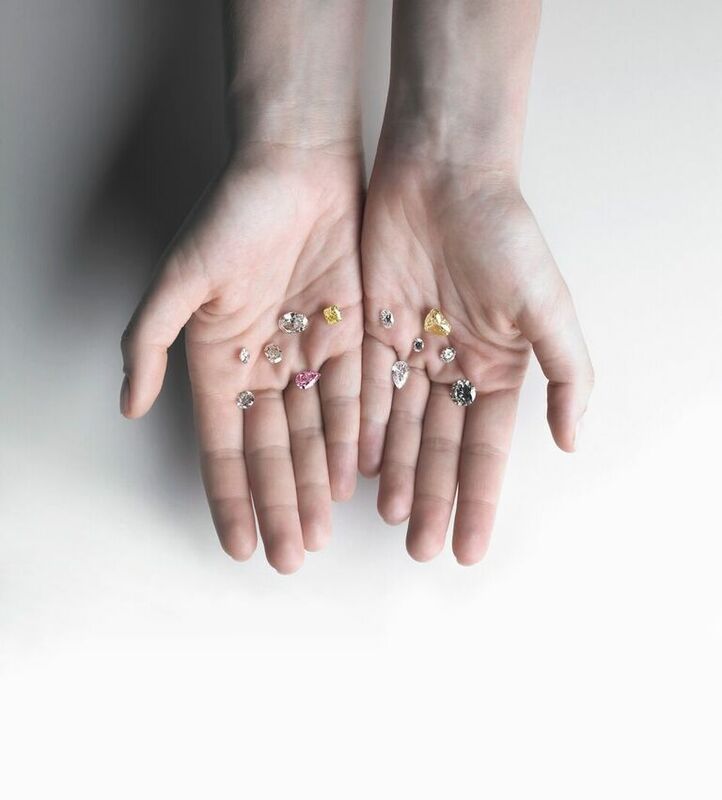 Though these trace amounts of other elements are known as “impurities,” that moniker can be ironic if it causes the diamond to have more value as a result! 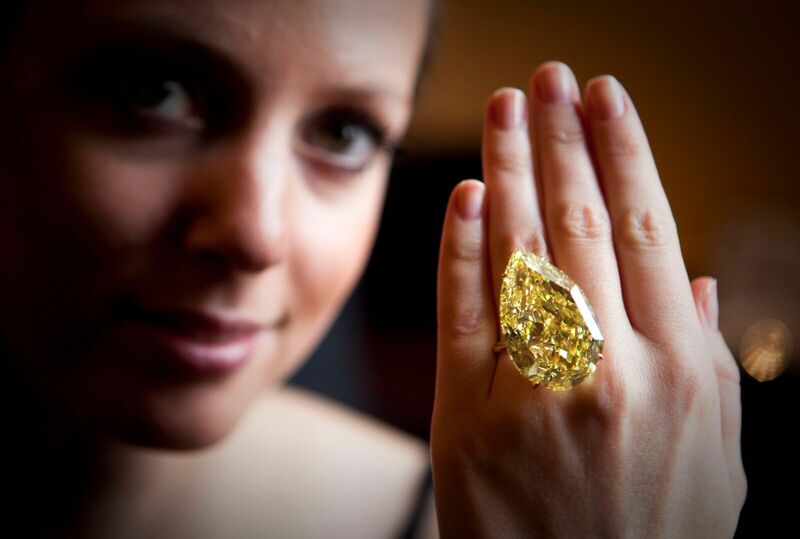 In the world of colored diamonds, various shades of yellow are by far the most common. Yellow hues occur as a result of small amounts of nitrogen infiltrating the predominately carbon make-up of the stone. Orange shades can also be achieved by the presence of nitrogen. It is interesting to note that it is exceedingly rare for a diamond to be graded as pure orange. Blue diamonds are rarer than their yellow counterparts, and they occur because of hydrogen impurities rather than nitrogen. When most people think of blue stones, they think of sapphires. 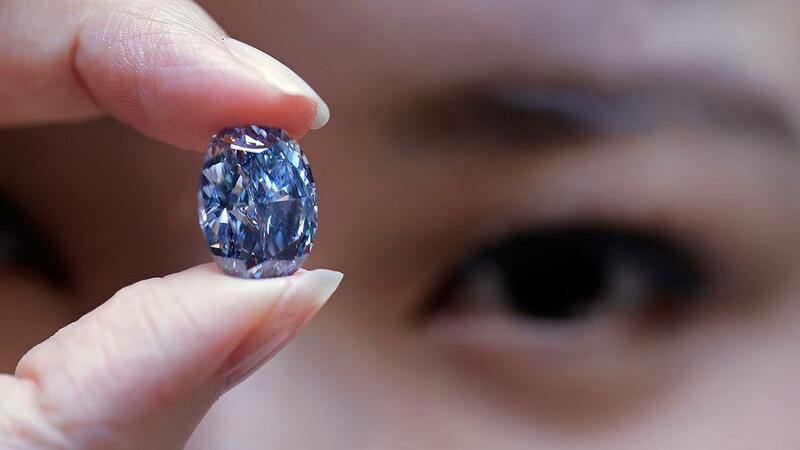 However, blue diamonds are distinguishable from the former due to the grayish tinge in their coloring. The richly-colored blue diamonds are treasured by jewelry collectors.What's more, they are also valuable to scientists because of their incredible ability as conductors. THE RAREST OF COLORED DIAMONDS? 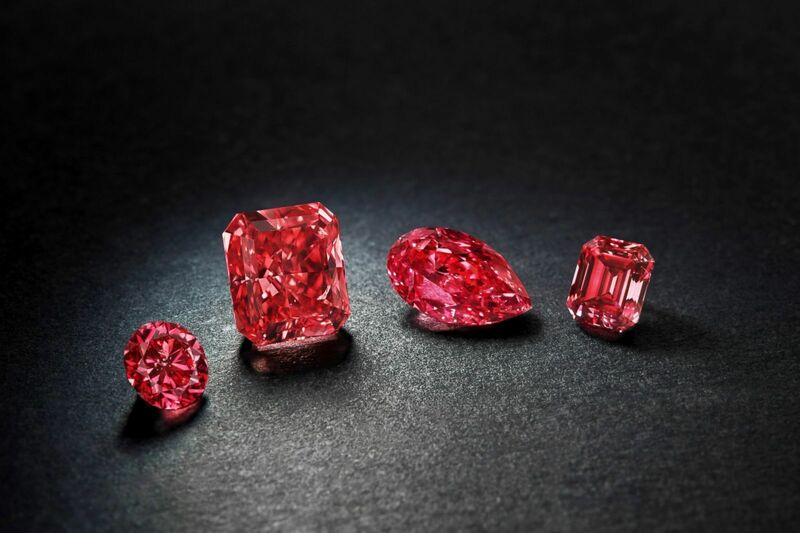 Red diamonds are the rarest color of all. Due in large part to their scarcity, we do not entirely understand what causes their unique coloring. The prevailing notion is that red diamonds come about as a result of outward geological forces rather than inner elemental impurities. Sometime during their development (or their journey to the surface of the earth) especially high level of pressure and temperature can act upon them. This causes the natural atomic structure, and therefore the color, to change. Like many other gems, there are now ways to simulate or even create colored diamonds in a lab setting. One method of doing this is to start with a white diamond. Then, treat it using advanced technology or simply a thin layer of color. However, it is also possible to create a colored diamond in a lab. That is by simulating the processes that create them in nature. Much like other types of man-made precious stones, however, lab created colored diamonds are less valuable than naturally-occurring ones. The usual system of white diamond classification in Cs (cut, color, clarity, carat) doesn’t always translate very well to their colored counterparts. Instead, the preferred system for grading colored diamonds is a bit more complicated. The color is graded according to three standards. Hue (the actual color of the diamond), tone (how light or dark the color is), and saturation (the strength or weakness of the color). 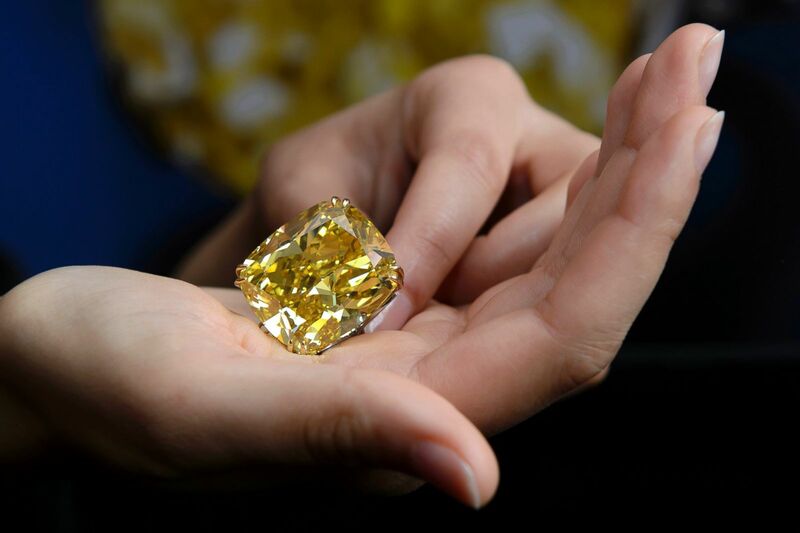 The saturation and tone together contribute to the diamond getting one of nine classifications: Faint, Very Light, Light, Fancy Light, Fancy, Fancy Dark, Fancy Intense, Fancy Deep, and Fancy Vivid. The Hope Diamond, for instance, has a Fancy Dark distinction. The levels of elemental impurity in the diamonds, as well as aspects of each diamond’s atomic structure, contribute to the different levels of color saturation. As for hue, gemologists classify the various different possible colors into twenty-seven separate categories. Sounding much like a box of Crayola crayons, the color classifications are as follows: Red, Orangish-Red, Reddish-Orange, Orange, Yellowish-Orange, Yellow-Orange, Orange-Yellow, Orangish-Yellow, Yellow, Greenish-Yellow, Green-Yellow, Yellow-Green, Yellowish-Green, Green, Bluish-Green, Blue-Green, Green-Blue, Greenish-Blue, Blue, Violetish-Blue, Bluish-Violet, Violet, Purple, Reddish-Purple, Red-Purple, Purple-Red, and Purplish-Red. Even with all these diverse categories, there are still some diamonds that don’t fall firmly into one color group. In such cases, it’s possible to add additional colors or color combinations. Unsurprisingly, colored diamonds also differ from white diamonds. How? They are treated after they reach a jeweler. With a white diamond, clarity is of the highest priority – but with a colored diamond, the opposite is true. The jeweler wants the color to shine through as much as possible. Therefore, less concern is placed on small impurities within the stone. Often, shapes such as emerald-cut, pear-cut, and cushion-cut bring out the most brilliant level of color. Interestingly enough, round is less common. Given the varied natures of colored diamonds and the infinite possibilities for color distribution, there are typically fewer rules for how to cut or display them than there would be for white diamonds. Much like the customers who will later select the stones. What is the best choice for one is not always the best choice for another. 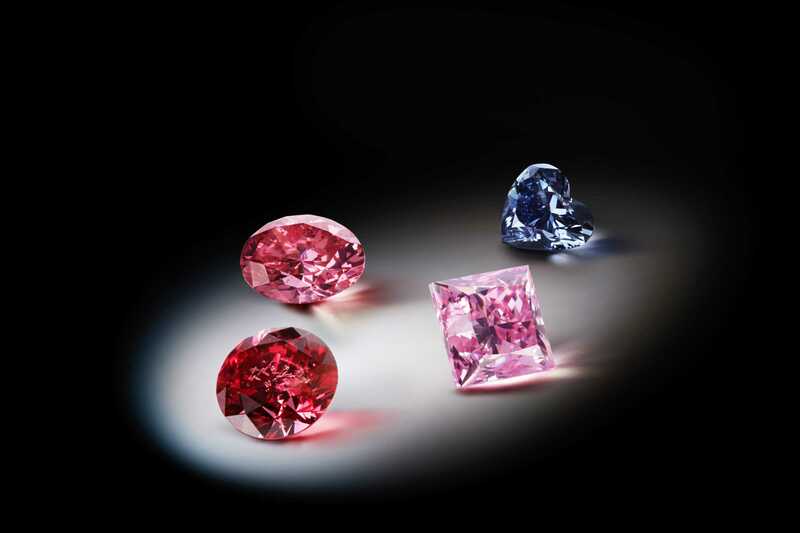 The good news for collectors favoring colored diamonds is that the uniqueness of these gems can be an asset when it comes to maintaining their value. 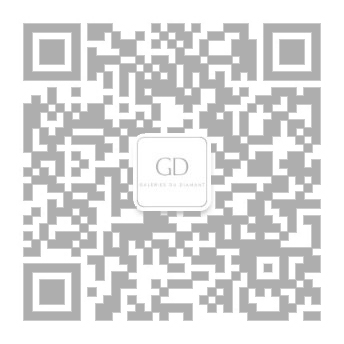 Even as the economy, the availability of white diamonds, and the “trendiness” of white diamonds causes their value to fluctuate. The rarity and uniqueness of colored diamonds makes their value more stalwart. 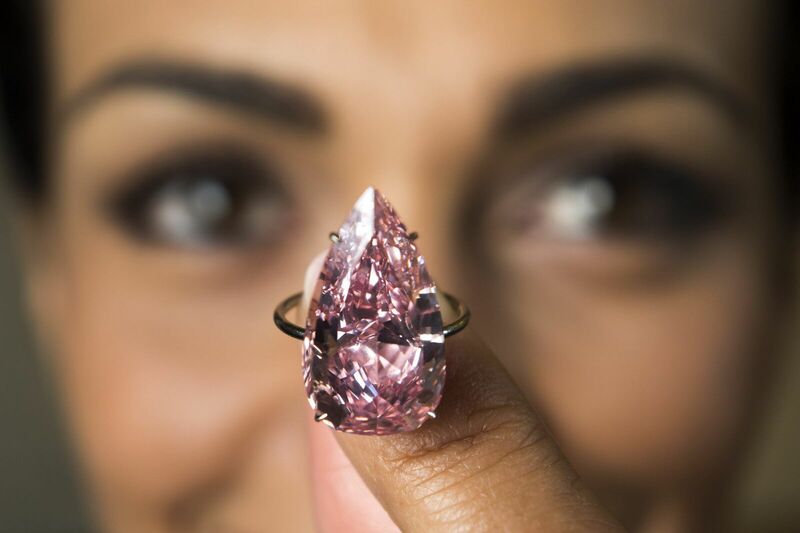 Blues and pinks are particularly prized, as evidenced by the recent sales of the Pink Dream Diamond and the Tereschenko Diamond. 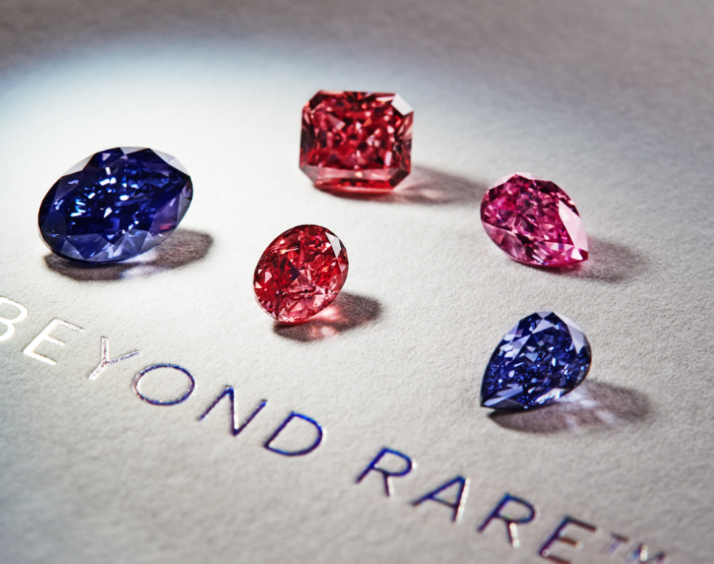 Whatever a collector’s taste, a fancy colored diamond is guaranteed to be an asset and a talking piece for years to come – and if the popularity of colored diamonds continues its upward trajectory, quality colored diamonds will only become harder to acquire. Subscribe to our newsletter and you will be the first to know about events and updates.